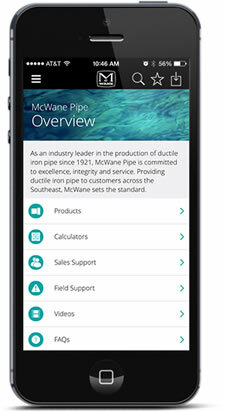 McWane, Inc. is a dynamic company in a dynamic world with approximately 6,000 employees in our 25 manufacturing plants, including 13 foundries and 27 additional manufacturing and sales/distribution locations. We take great pride in the long heritage of quality water distribution and fire protection products produced at various McWane facilities for more than 100 years. At MIPL and Kennedy Valve, we strive to provide our customers with the products and information needed to supply the job, install the job and maintain the products on the job. Kennedy Valve has assembled a full line of operations and maintenance manuals to assist the customer in any situation pertaining to the installation and maintenance of Kennedy Valve products. These easy-to-follow instructions along with our courteous and knowledgeable sales and engineering staff stand ready to assist customers whenever and wherever the need may arise. For more information about our wide range of products or services, please browse below or contact the sales office.